Check out the best rejuvenation spa in Bali to prep your skin before the big day! Keep your face hydrated leading up to the big day to make sure that makeup will sit smoothly and last longer on your skin. Don’t start panicking, though – it can be as easy as regularly moisturising and drinking plenty of water. Primer and setting spray help to provide a beautiful “lit-from-within” base and help your makeup to last longer. Specifically, primer will help prevent your eyeshadow and concealer from creasing and increase the longevity of your foundation by giving it something to adhere to. Just as it sounds, setting spray can be used to set all of the makeup in place and throughout the day to spritz up any dull or dry looking spots – magic! Translucent powder can also be used to set in any oil or crease-prone areas such as the t-zone, under the eyes and around the nose. This will add another thin layer of protection to secure makeup for hours on end without adding any coverage or cakey-ness to the face. Keep in mind that you should avoid translucent powders with high SPF content as this will flashback in photos and sometimes leave you looking ghostly. Waterproof. Waterproof. Waterproof. We can’t stress this one enough! Opting for a waterproof foundation and mascara instantly gives you the tear-proof make up you will need (happy tears, obviously) to last all day. Waterproof foundation will also last much longer than others and give you peace of mind in case the weather changes. When applying lipstick to last all day long, layering is key. Although it might sound slightly out-of-the-ordinary at first, adding layers of lipstick will help to make the product adhere or ‘stain’ your lips for longer. Starting with a very thin layer of foundation will set a base and repeatedly blotting and reapplying lipstick when getting ready will create a colour set for any lip locking that may occur throughout the day. 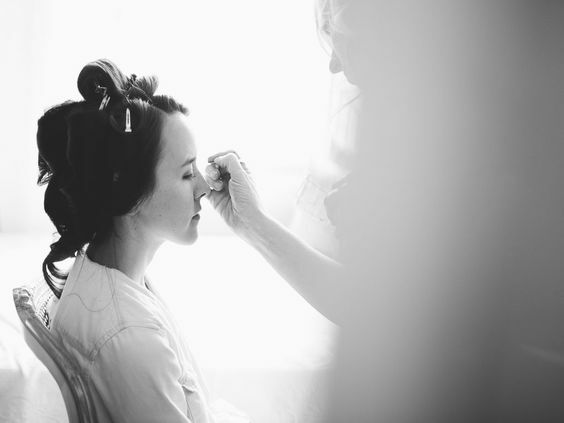 Finally, don’t be afraid to pack a touch-up kit for the day and have one of your bridesmaids take care of it – it’ll definitely be useful in case of any makeup mishaps! 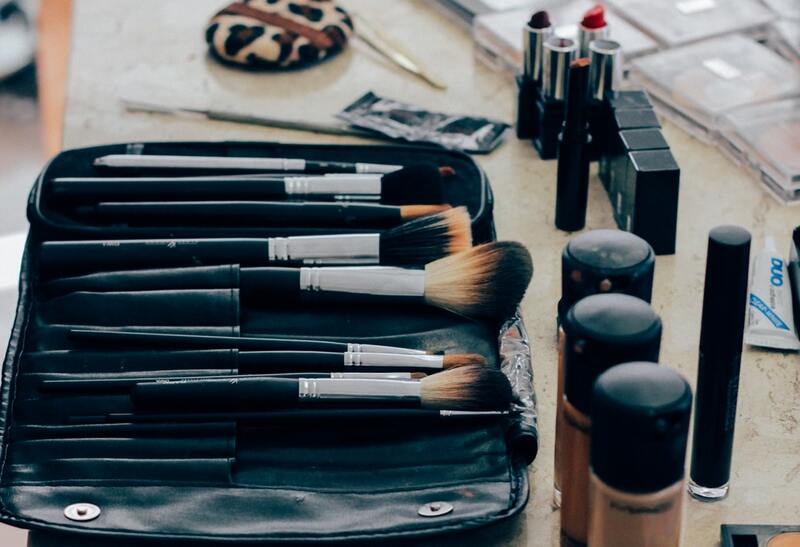 In the end, leave the hard stuff up to the experts and make sure you choose a makeup artist that you trust to keep your makeup looking #flawless.